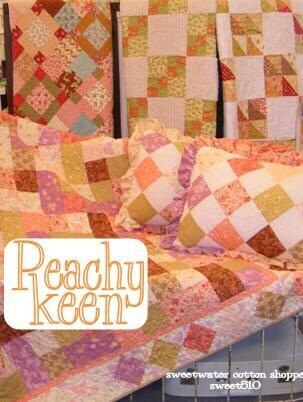 Peachy Keen is a self-published book that is core bound so it will lay flat. It is made up of quilts that all feature fabric lines designed by Fig Tree Quilts for Moda Fabrics.. 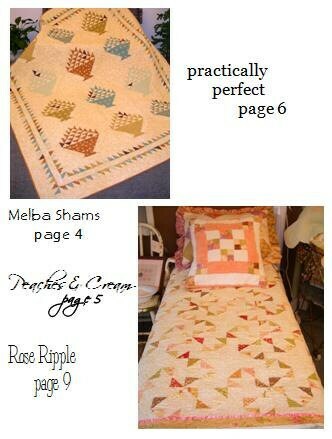 Patterns include: Practically Perfect, Rose Ripple, Portobello Road, Peaches & Cream, Peach Melba, Melba Shams, Lime and Coconut, & French Kiss. Great seller, instant shipping! What a fun book, thanks so much!